It's finally here! That time of year to snuggle under the blankets with your family and watch a movie, decorate the house, shop for those perfect holiday gifts and ring in the years end with your loved ones! 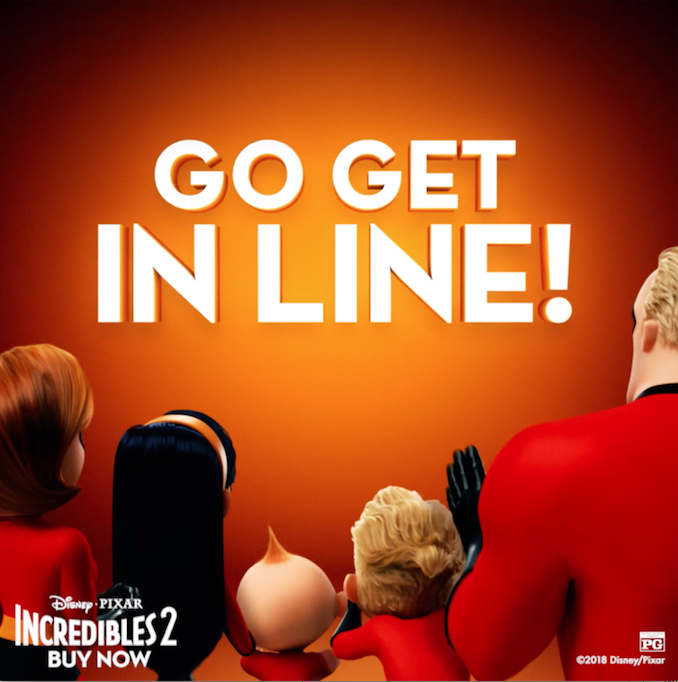 As you prepare and maybe even brave the shopping crowds this coming weekend, we thought we’d highlight a family-favorite Disney/Pixar’s “Incredibles 2” and its upcoming Black Friday weekend sales (Thursday – Sunday) at Best Buy, Target & Walmart nationwide. Don’t miss your chance to grab a copy for your family to watch or as a great holiday gift/stocking stuffer at the great price of $17.00 for a Blu-ray at Best Buy, under $20 for a Blu-ray at Target and a $9.86 DVD at Walmart.